I was hoping to catch a bat against the horizon. They had been flying back and forth over the field next door the whole time I set up my tripod. They must have eaten all the bugs. I like the colors and the sharpness of the leaves against the softness of the background. I love to see bats for the same reason, less bugs! They are very difficult to capture because of the fading light and their erratic flight patterns, not to mention that they are rather stealthy. It's a lovely image, but a pity the bats stopped flying while you set up. 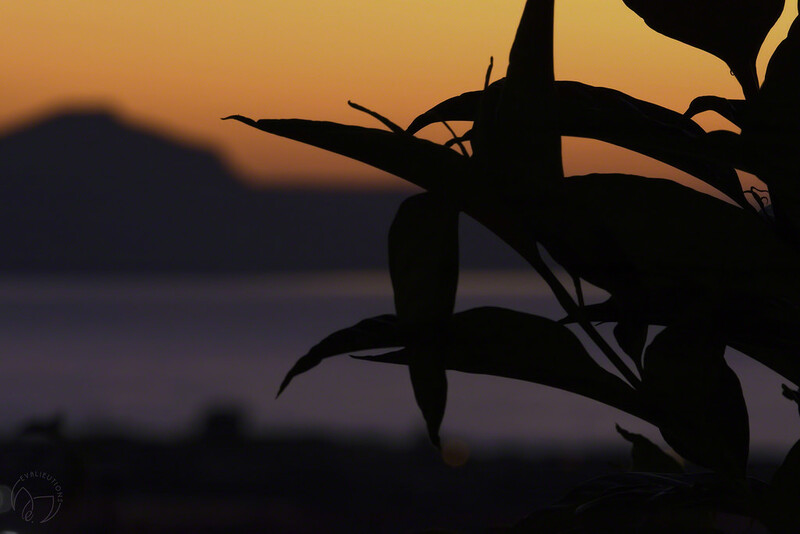 Love the sharp contrast the leaves make against the gorgeous sunset!